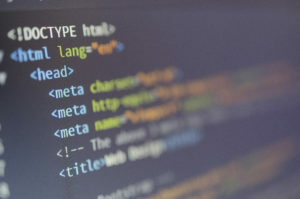 As the business world becomes more connected and technology evolves, success as a programmer is dependent upon your capacity to learn and improve. Any experienced developer understands you should always be trying to find ways to boost your programming abilities. Also, improving your coding skills usually leads to greater confidence and who doesn’t need more confidence? Consider the following ways to improve your coding skills. You can only get so good by doing online tutorials. Building something is a great way to exercise the knowledge you already have and force yourself to learn new things to fill in the gaps in your code. Don’t feel required to complete your pet projects either if you’ve believed you’ve learned the useful skills you wanted to, the project can get boring and become a drain on your desire to keep improving. However, if you do complete a project, you should share it with the world. Whether it’s a website, a mobile app or a Ruby Gem, seeing people use your code can give you more confidence. Even just getting a tweet or comment thanking you can be a massive confidence boost. Some employers are able to offer training, and others are not. That being said, you shouldn’t rely on your employer to make you a better coder. There are many learning resources out there that can be had for little or no money, including books and magazines. If possible try to find a mentor in the field or someone with a very different skill set who is willing to exchange information and ideas. It’s also important to familiarize yourself with as many frameworks and libraries as possible; understanding how they work so you can use them. If you’re working with open source code, you can use the debugger to see top-notch code written by other people. Don’t be afraid of breaking your code. A crippling fear of making mistakes can result in writing bad code and investing the time to refactor will cover the cost of itself many times over the lifecycle of any project. Think like a surgeon who isn’t worried about cutting out sick parts to allow for recovery. Attitude is contagious and will inspire others to begin taking care of their own cleanup projects. Maintain a list of tasks that need addressing for the general good of the project. Despite the fact that these tasks may not create visible outcomes, they will lower expenses and speed up future work. At SSI, we regularly assist hard-working programmers who are always looking for the next great career opportunity. If you’re interested in taking the next big step on your tech career path, please contact us today to find out how we can help.